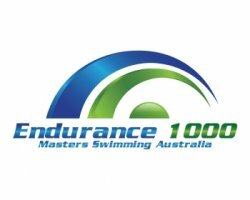 The purpose of the Endurance 1000 program is to encourage all swimmers to improve their fitness and endurance. The program’s aims are to promote aerobic fitness by providing an incentive (in the form of club points) for members to swim longer distances, and to allow members to baseline their times for specific strokes/distances, and then monitor ongoing improvements (i.e. via a timed swim/time trial). Our club coaches recommend participating in endurance/aerobic swimming as it helps build your fitness and stamina, it’s challenging as well as fun. It is also a good way to measure your swimming improvements from year to year, by monitoring your times for specific strokes/distances. It is also very good mental discipline. Don’t be discouraged when you see that some of our members have swum 800m butterfly! Nothing in the program is compulsory. You just swim the events that you want to swim. If you haven’t tried endurance/aerobic swimming yet it’s not too late to start. You don’t need to be fast, you just need to complete the distance. 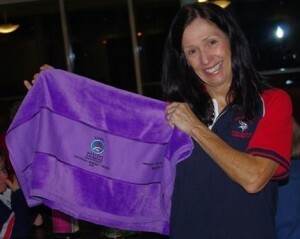 You might even win a towel! Our club’s Endurance swims are all recorded in the Endurance Program Summaries spreadsheet which is available to download along with previous years’ summaries. Our Endurance Co-ordinator is Katrina Burgess and our Endurance Recorder is Maria Castles. The cost per Endurance session is $2.00. Please put your money in the collection pot next to the sign in sheet on the poolside. Endurance swim recording sheets are available to download. It is important that you keep your personal recording sheet up to date and that you check it against the updated summaries spreadsheet on the club website. Sometimes swimmers repeat 400m or 800m swims of the same stroke in the same month – only one of them will count. If you find a discrepancy on the official summaries (which occur occasionally), please contact Maria Castles, so that it can be amended accordingly. We have had a few timekeeping mishaps, the worst being when the timekeeper managed to stop both watches when the swimmer still had two laps to go! Our policy of running two stopwatches for each swimmer overcomes most problems, including watch failure, but we still need to be careful. The backup watch should always be kept purely as backup, and not stopped until it needs to be reset for the next swimmer. 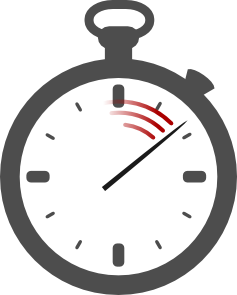 With the timing watch it is safer to use the split button rather than the stop button at the end of the swim.